Scale. It can really change how you feel in your space. As you are thinking about your small space layout, remember that scale plays one of the biggest roles. You can have large or small pieces but they need to feel proportioned in your space. Your furniture will anchor your space and create balance but there's also another way to add scale or extra weight or height to a room - through accents. 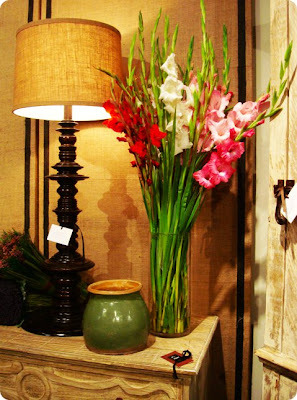 By placing pieces with height - like this vase full of tall flowers - you have anchored this console table. This is an easy way to change and enhance the scale of your small space. Enjoy more pages out of the SMALL SPACE DWELLER HANDOOK right here.